Under the People’s Progressive Party/ Civic (PPP/C) rule, the then opposition had contended that the Cheddi Jagan International Airport (CJIA) expansion project venture was plagued by corruption. A few months later, the proverbial shoe has been placed on the other foot and it is the PPP that is now suggesting that government is allowing the nation to be robbed. Guyana may recall the toilet bowls for the project that cost taxpayers $424,000 each. This was negotiated under the PPP/C and the then opposition chided it. Now, the new Opposition Leader, Bharrat Jagdeo is saying that the nation is again being cheated. 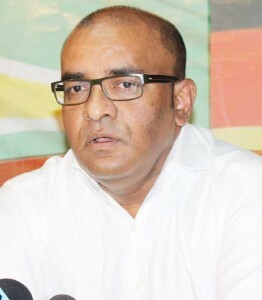 Jagdeo is accusing the new government of accepting a six for a nine. According to him, the PPP government was having problems with China Harbour Engineering Company (CHEC) since the firm contracted to undertake the project, was attempting to shortchange the nation. Jagdeo is claiming that CHEC was requiring more money but the PPP turned down the request. Minister of Public Infrastructure, David Patterson had stated a few months ago that the PPP underestimated the price by $45M as the initial price did not include costs for a new parking lot and some other facilities. Jagdeo told the media on Saturday that CHEC had asked the PPP government to increase the contract price by $45M but the PPP government had denied that request. “We had said no, it is a design bill contract. You (CHEC) did the geotechnical surveys so you bear that risk and you have to fulfill the original specification for the sum of money,” said Jagdeo. He said that because of this, there was a “deadlock” between CHEC and the PPP govt. The opposition leader asserted that the PPP needs more details about the project. “We need to know in detail. The country wants to see it. We want to know more about the Marriott too,” said Jagdeo. But it was Jagdeo who, along with his party, touted a confidentiality clause in several projects. The airport expansion project was conceptualized under the PPP/C administration and a contract was inked with CHEC in 2011. Key components of the expansion project included: The extension of the runway from 7,500 to 10,800 feet – to accommodate the BOEING 747-400 aircraft; Doubling of Aircraft Position from four to eight; installation of eight Passenger Boarding Bridges; and the fortification of the CCTV system with approximately 300 cameras and a new terminal. A Partnership for National Unity/Alliance for Change (APNU+AFC) administration has made some changes to the project. These changes include renovating the existing terminal building instead of building a new one. 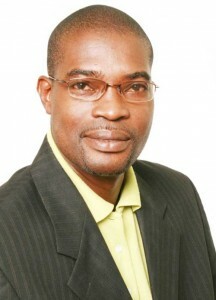 The APNU+AFC Government launched an investigation into the project upon assuming office. In this regard, Patterson said that the figure of US$150M previously stated by the PPP/C was understated and that some expenditure was not included in the original contract. This newspaper recently revealed the fact that BaiShanLin has been hired to work on the project and is using its vehicles acquired with duty free concessions to carry out works. This is in contradiction with the purpose for which the duty free concessions offered to that company were granted and also in contradiction with the contract signed between Harbor Engineering Company jhfjCHEC and government.